Here are the design notes from a well-documented LIM coilgun in 1937. The premier electrothermic engineer and father of the induction heating industry, Edwin Finch Northrup, foresaw the application of induction motor design to coilguns. He built several models in the lab, and designed on paper a coilgun for a trip to the moon. 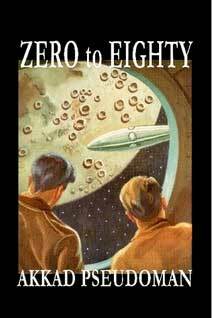 Northrup shared his knowledge in a fictionalized story about his life, "Zero to Eighty". This book contains several technical appendixes which are still highly relevent to linear induction motors and coilgun design today. These pages reproduce Northrup's coilgun design, calculations and illustrations. I think it will help you understand impedance and load-matching as it applies to linear induction motors. EF Northrup designed a coilgun for a moon launch. The hypothetical coilgun would be located on Mt. Popocatepetl in Mexico with a length at least 100 kilometers long and achieve 11.2 km/sec. To support this story, he presents a paper design for a prototype LIM coilgun located in Salt Lake City, Utah of 1 kilometer length and 50G acceleration up to speeds of 1 kilometer/second. The projectile was 0.5 meters in diameter and 5 meters long. No coilguns this large were actually built, of course, but he did construct several coilguns in his lab and proved the concepts. In the story his assistant "Jean Bizet" does a great deal of the engineering. In real life, Ted Kennedy did the same work for Northrup from the beginning of Ajax Electrothermic Corporation, 636 E. State St, Trenton, NJ established in 1920. The name "Theodore R Kennedy" authored some patents (e.g. United States Patent 2144377) for induction heaters. "Being my Lifetime Doings, Reflections and Inventions"
"Also My Journey Around the Moon"
Hardcopy reprint and inexpensive PDF file is available from Black Cat Press dated 2007.